*NEW* The Pesticide Manual 18th Edition - BCPC British Crop Production Council : BCPC British Crop Production Council . 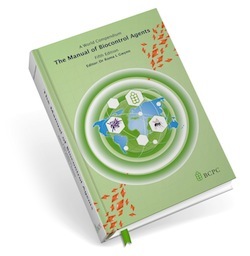 View basket “Manual of Biocontrol Agents online” has been added to your basket. Published by BCPC for fifty years. This eighteenth edition of The Pesticide Manual has been extensively revised and updated to reflect the continued evolution of pesticide science. 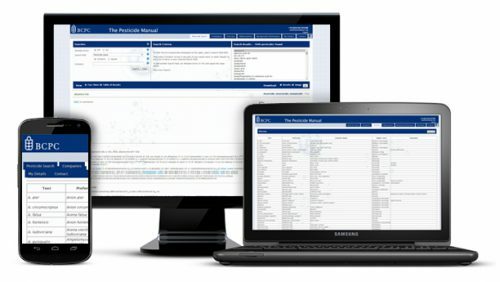 It provides the most comprehensive information on active ingredients for the control of pests in the world. Includes: herbicides, fungicides, insecticides, acaricides, nematocides, plant growth regulators, herbicide safeners, repellants, synergists, rodenticides and ectoparasiticides. 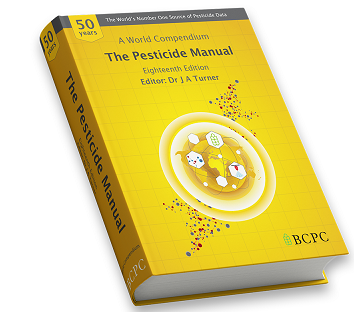 The Pesticide Manual is compiled by BCPC to ensure independent and impartial data. The perfect complement to The Pesticide Manual 18th Edition.